Chafing is a situation where your skin rubs against other skin or clothing and this causes redness, inflammation and irritation along with pain as well in that part of the area on the body. It usually occurs in moist parts of the body and is very common around private parts as they remain moist and closed all the time. This gets worse with constant sweating and excess body weight as well and commonly occurs around thighs, underarms, groin and neck area where sweating occurs a lot in summers. It should be cured with immediate effect or else it causes pain, discomfort and other skin infections as well. Aloe vera has a soothing effect on the skin as it takes away the inflammation and also has cooling effect on the skin as well. Just cut an aloe vera leaf and scoop out the gel. Apply it directly on the skin twice or thrice daily on the skin. You can also mix one-fourth cup of aloe vera gel and 1 cup boiled green tea and 10 drops of lavender oil. Apply this mixture on the chafed skin twice in a day. 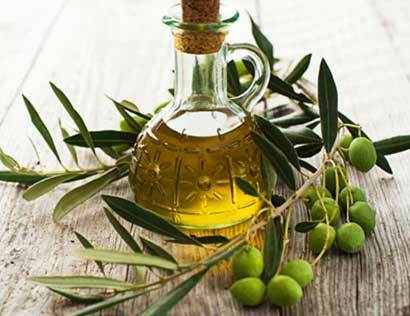 Olive oil is proved to be the best moisturizer for the skin and it is used to cure the chafed skin. It has anti-oxidant properties and vitamin E that proves useful in curing skin infections including chafing. 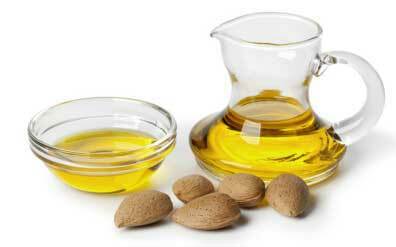 After taking a bath, take few drops of olive oil and apply it on the affected area directly. Reapply throughout the day to cure chafing in a natural way. 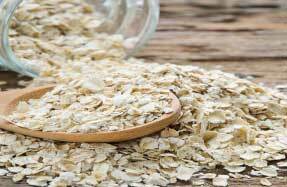 Oatmeal has the quality to soothe down the skin and moisturize it as well. Fill in some lukewarm water in the bathtub and add 1 to 2 cups of oatmeal in the bucket. Mix it well with water. Then soak your body in that water for 20 to 30 minutes and rinse off your body with lukewarm water. 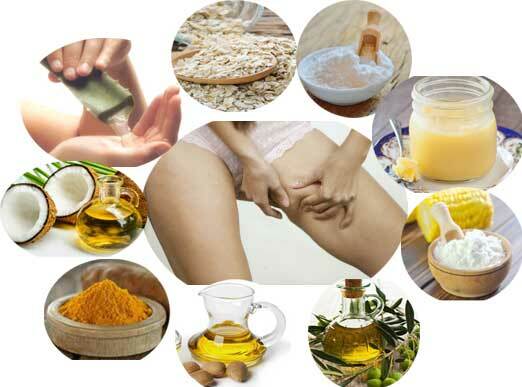 Dry your skin with a soft towel and use this remedy once daily till you get rid of chafing. It soothes the skin and prevents inflammation around the chafed area. Cold compress helps in reducing the redness of the skin and also relieves from pain and inflammation. Take some ice cubes and wrap them in a towel. Place this towel on the effected area for 5 minutes. Then after 5 minutes, repeat the same process. This process can be repeated twice or thrice in a day depending on the severity of chafing. Baking soda is a very good exfoliator for the skin and it also has healing properties that treats the skin infections effectively. Mix one part baking soda and three parts of water along with few drops of lavender oil. Now, apply this mixture on the effected area and wait for 5 minutes before rinsing off with normal water. Repeat this process twice in a day if needed to cure chafing. 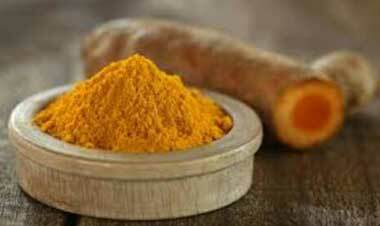 Turmeric is commonly used in every household as it has antiseptic and anti-inflammatory properties. Take 3 tsps of turmeric powder and mix it with 2 tbsp of water to form a thick paste. Now apply this paste on the affected area and cover this area with a soft cloth. Wait for 30 minutes and then rinse it off with normal water. If there is a need, then you can always reapply it twice or thrice in a day. 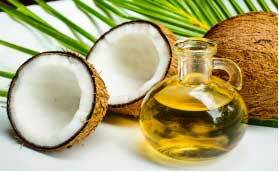 Coconut oil has cooling property so when applied on the chafed skin, it soothes down the pain and inflammation. It makes the affected area soft and smooth which prevents inflammation. It also helps in restoring the moisture of the skin and this further helps in preventing the cracks or drying up of the skin. Almond oil also has moisturizing properties that soothes down the chafed skin and prevents it from drying up which causes inflammation. It treats the itching and irritation that occurs in the skin due to chafing. Apply it twice or thrice in a day to get rid of chafing. 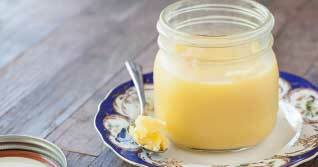 Ghee has antiseptic properties and it also helps in keeping the skin moisturized and nourished from within. Apply some ghee over the affected area and cover it with a cloth so that it stays on your skin. Reapply it twice or thrice in a day to get relief from irritation and pain on the chafed skin. 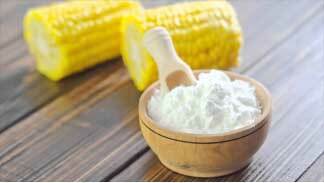 Cornstarch has healing properties as it absorbs excessive moisture from the skin and keeps it dry and healthy. It does not make the skin too dry but it takes away the excess moisture from the moist areas of your body or from the chafed skin. It acts as a talcum powder. 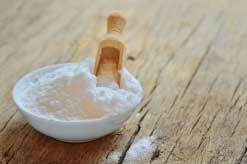 Apply some cornstarch on the chafed skin and if required reapply it twice or thrice in a day. This will treat chafing within few days.